Every Italian media has talked about it: the worst vintage since the post-war years, as the news and newspapers have called it. While in 2016 the harvest production had reached 54 million hectolitres, this year it won’t exceed 40 million hectolitres: a neat 25% less than the previous year. Without doubt, the climatic conditions (the April frost followed by a long drought) have jeopardized the success of a good harvest. The vines that weren’t equipped with an irrigation system have deeply suffered from the April frost followed by a long drought, and grape has dried out on the plant. Some producers had to move up the harvest, while others had to call it off. 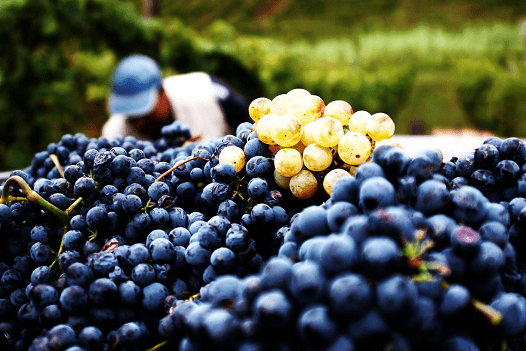 The regions more affected have been Lazio and Umbria, but the situation in Tuscany, Emilia Romagna, Veneto, Lombardy or Sicily hasn’t been any better: in some Sicilian vineyards grape was so dehydrated that couldn’t be harvested. 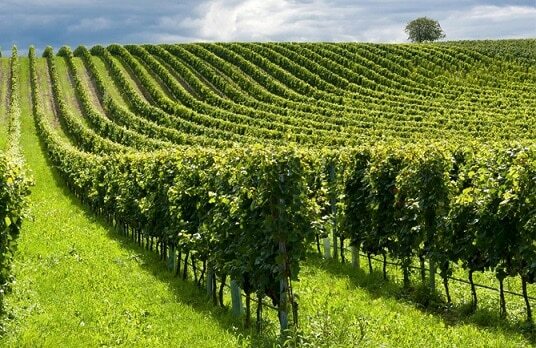 Luckily, the situation of Trentino Alto Adige has been less critical: the climatic conditions haven’t affected the vines and, moreover, regular organic treatments have preserved the grape good health. Organic wine production stands its ground, thanks to the sudden growth of natural wineries begun in 2016, which now seems to be leading the way toward new markets. After all, wine sales volume represents over the 9% of food industry. From the international point of view, Italy keeps its first place: France has reached a production of 37 million hectolitres, while Spain has suffered a decrease of 12%. Instead, Portugal and Austria performances have been good, and their production has grown of 10% and 6% respectively. For what global competition is concerned, Australia has recorded a raise in production of 5%, South Africa of 1.4%, Argentina of 10% and the region of Mendoza of an even 50%. It’s becoming more and more evident how the climate change can affect and damage the environment and the products of the earth. Some experts claim that the best way to face it is to focus on the vine care, equipping it with instruments that can palliate the damages caused by torrid weather, like irrigation systems, and preserving the fertility and biodiversity of the soil with grassing techniques. As a matter of fact, grass can prevent terrain degradation and protect water resources; it can also help preserving the organic substances and develop an efficient microbiological activity. And a healthy vine means it is stronger, and more resistant and prepared to face extreme climatic conditions, like the ones occurred this year. Experts in the field, first and foremost Coldiretti, state that the product quality isn’t at risk, though there has been a general and unexpected rise in acidity, sugar and tannins in red wines. Producers will need to fix these flaws with the most suitable instruments and techniques offered by the market; in this sense PERMEARE can guarantee efficient and safe treatments, thanks to cutting-edge technologies and a solid know-how. It will be a year for true oenologists!